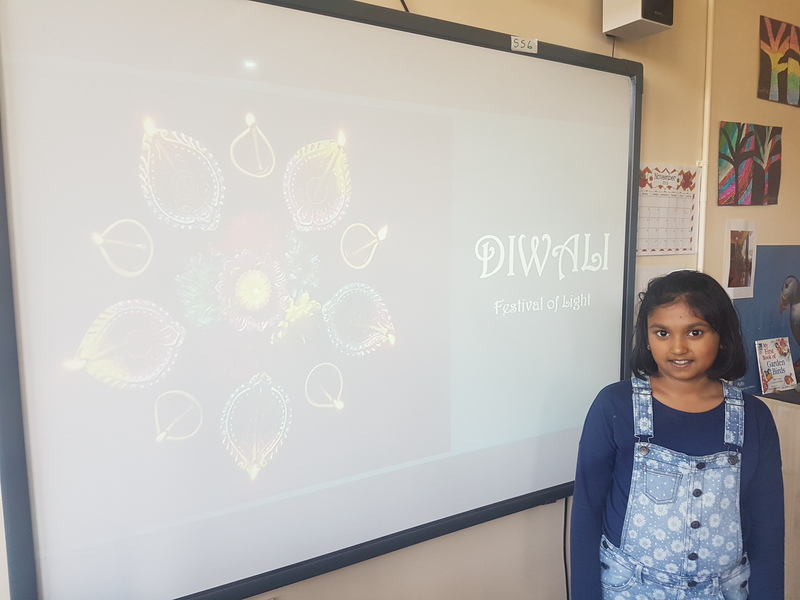 Today in 4th Class we had a very informative presentation from Swara about the Hindu and Indian festival of Diwali. 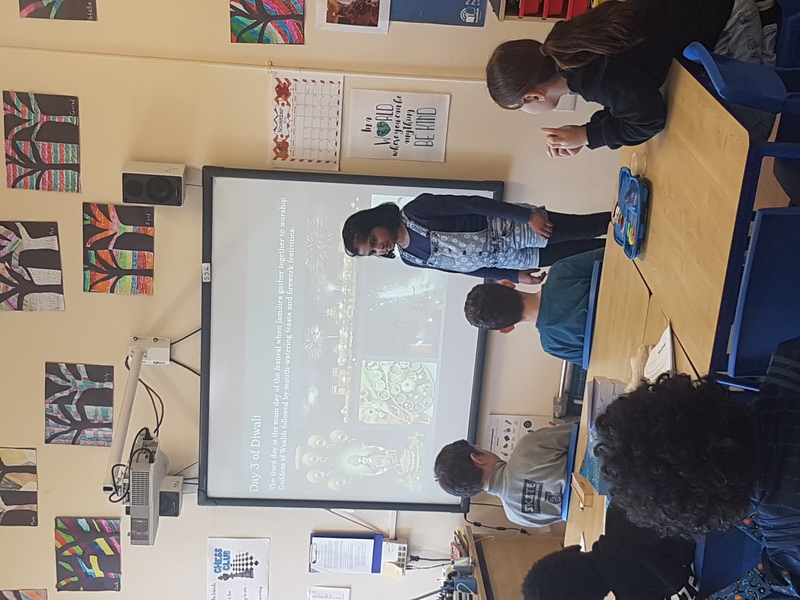 Swara described the five days of celebration in great detail and she was a very confident speaker as she presented. 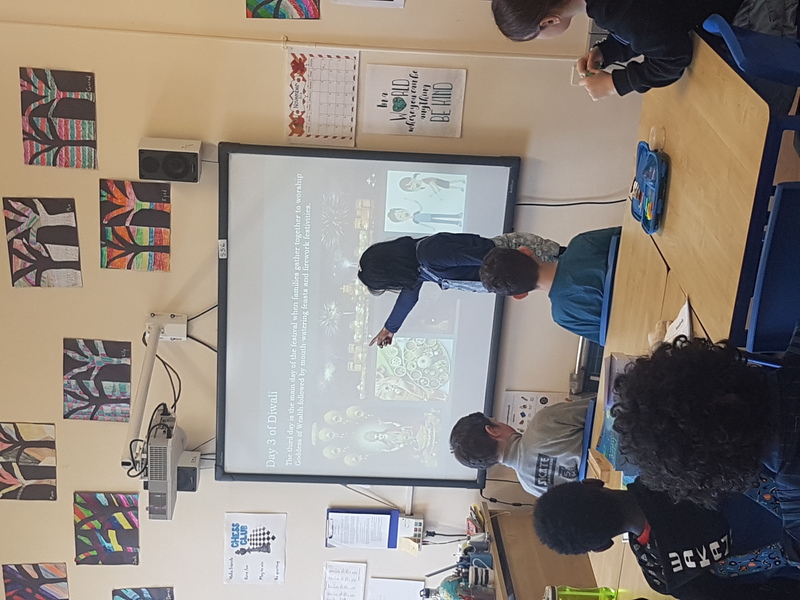 The class then got to ask questions about the The Festival of Light and colour in a diva.